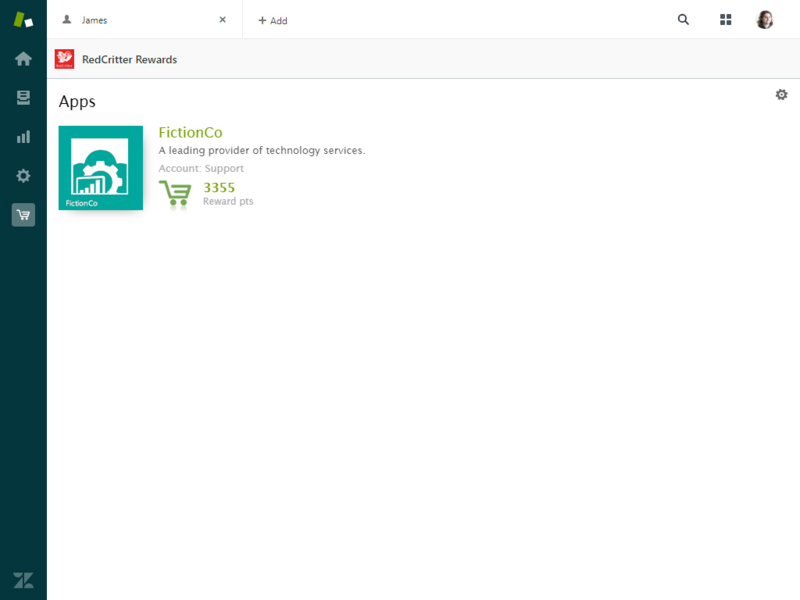 Easily run and manage a Rewards Store for your Zendesk Agents. 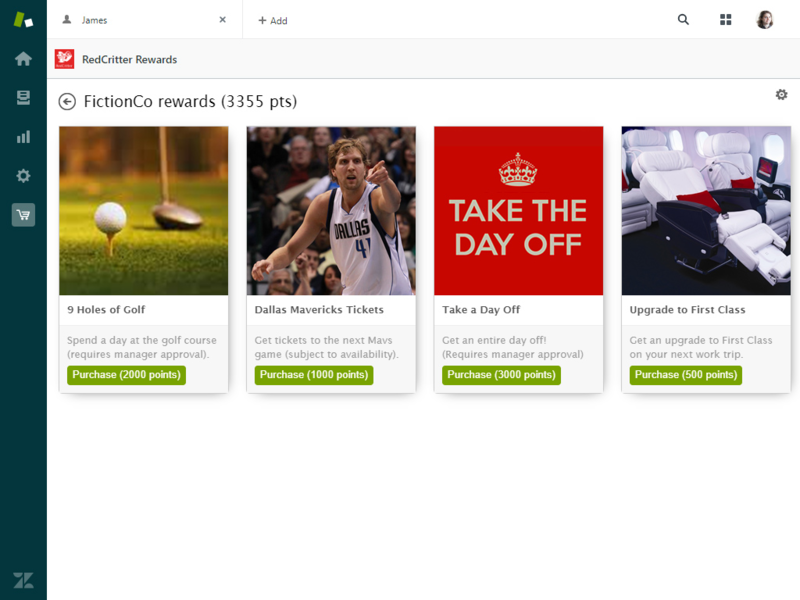 RedCritter Rewards allows you to use your RedCritter Connecter account to easily create and manage a rewards program for your Zendesk agents. Visit www.redcritterconnecter.com/solutions/zendesk to learn more. Once configured, your Zendesk site will automatically issue virtual currency when agents close tickets - based on the logic rules you choose. 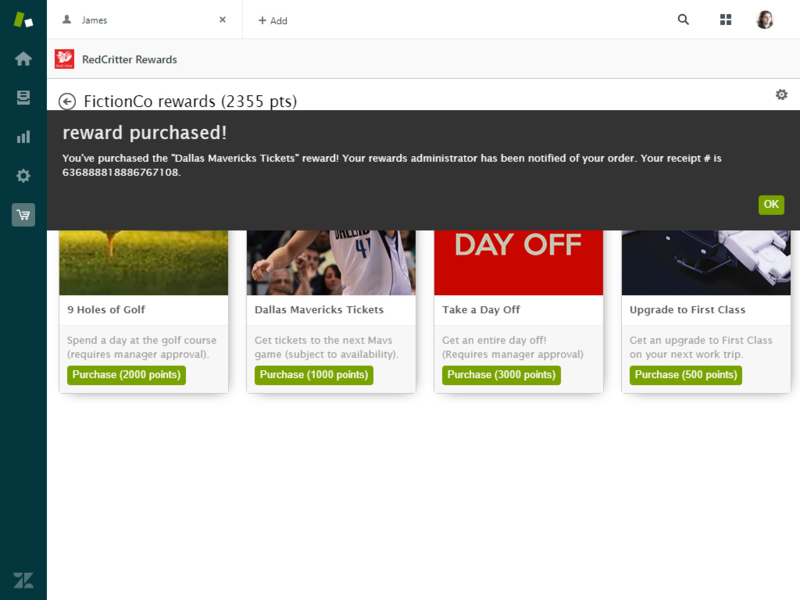 Your employees can spend their earned currency on items you manage in your own rewards store withouth leaving Zendesk! RedCritter Rewards requires a RedCritter Connecter account. Visit www.redcritterconnecter.com/solutions/zendesk to learn more. Contact us at support@redcritter.com if you would like a one-on-one demo.